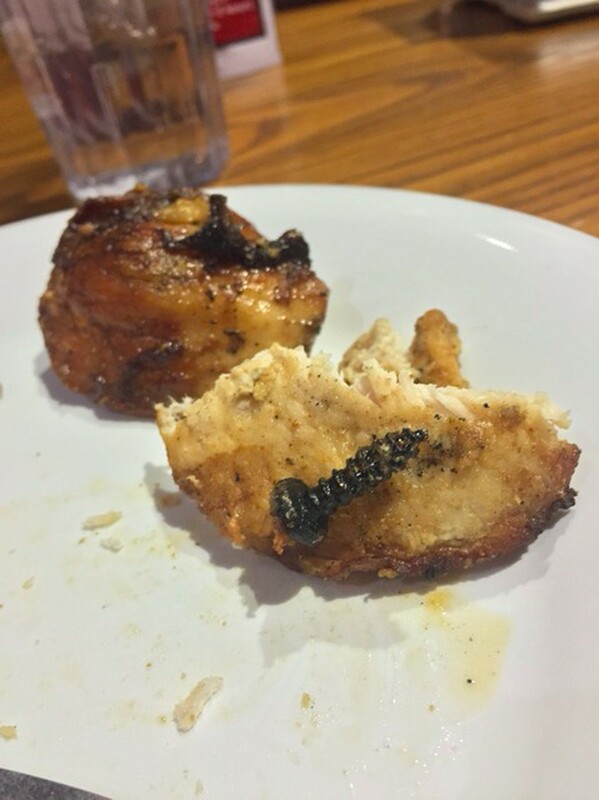 At 6:30 p.m. on January 11, second-year Emma Gardner found a screw in a piece of grilled chicken while dining at Bartlett Dining Commons. Her discovery led to a UChicago Dining investigation that found Aramark responsible for the incident. Gardner said she notified her friends and Resident Heads (RHs), who had been sitting nearby at her house table, as soon as she found the screw. One of the RHs then led Gardner to the back of the dining hall to report the incident. There, they spoke to the floor supervisor. Gardner was disappointed at how the supervisor handled the situation. “She didn’t seem particularly distressed to see the screw implanted in the chicken, and said, ‘Well this is clearly not acceptable.’ She then yanked the screw from the chicken, and threw both away into the trashcan. She thanked me for bringing it to her attention, saying that this was helpful because they would now pull all of the chicken from that station,” Gardner said. The post on the Facebook page Overheard at UChicago elicited numerous reactions from people who had had similar experiences while eating at Bartlett and Cathey Dining Commons. Gardner collected other photos and stories from the Overheard page. She “found a treasure trove” of negative dining stories, and plans to meet with as many people as possible to hear their concerns. At her first meeting with UChicago Dining after the incident, she presented a printed PDF of the saved stories. After speaking with Assistant Director of Dining Operations Stacey Brown at the meeting, Gardner spoke with Syed Ahsan, another dining supervisor on the Bartlett dining floor. “He was incredibly thoughtful and listened to me speak for many minutes, as I explained what happened and then took him through the photos in my packet. He profusely apologized and was the first person who seemed genuinely distressed about the issue,” Gardner said. Upon returning to her dorm after speaking with Ahsan, Gardner received an e-mail from UChicago Dining that arranged for her to meet with Executive Director Richard Mason. The next day, she received another e-mail with the results of the investigation. In addition to discussing her own story, Gardner raised other people’s concerns in her e-mail, including one observation about how smoothies were being served. “I made sure to point out a photo of smoothies being served out of containers marked ‘For Food Waste Only,’ saying that I had seen this many times and it concerned me,” she said. At the meeting, Mason presented Gardner with the results of the investigation into her case. In accordance with UChicago Dining’s policy, Aramark’s staff removed the entire pan of grilled chicken immediately after the incident had been reported and threw out the remaining pieces of chicken. Upon inspection, UChicago Dining concluded that the screw had become loosened from one of the brushes used to clean the grill station, where the chicken was being prepared. It is most likely that the screw became attached to the chicken in the process of moving it from the grill to the pan. In Gardner’s second meeting with Mason, the latter said that incidents like these are Aramark’s responsibility, as opposed to UChicago Dining’s. “We buy the pots, pans and those sorts of things for the first lot. Subsequently, the provider [Aramark] is then responsible for replacing any used or worn equipment, those sorts of things. If it had been the grill itself that was the problem, then that would have been our responsibility,” Mason said at the meeting. UChicago Dining has now started follow-up training with Aramark workers, in addition to ensuring that all incidents are logged and tracked. Amid this investigation, it is in the process of renegotiating its contract with Aramark and is considering proposals from other companies. “UChicago Dining is concerned about the reported incident and takes such reports extremely seriously. UChicago Dining and Aramark reviewed the results of the investigation and decided that Aramark would retrain its managers, supervisors and staff on protocol for responding to food service concerns. This includes training on customer service, proper food handling, and food safety investigations,” Mason said in a statement on behalf of Dining. Aramark responded to the incident with plans to maintain a cleaner and more vigilant environment. “We take all customer concerns about food quality very seriously and have ongoing, rigorous training and quality assurance processes to ensure we meet very high standards. We maintain rigid standard operating procedures for the entire flow of food production…. Our employees undergo a food safety orientation before they start work, ongoing manager certification and associate food safety training, and job-specific training to continually reinforce safe practices. Our managers and cooks will be vigilant in maintaining food safety and preventing incidents such as this one,” read a statement from Aramark. Both UChicago Dining and Aramark apologized to Gardner for the incident, and she was compensated with 50 additional Maroon Dollars. Gardner hopes that her experience will encourage the University to consider other plans. “While I’ve found the academic life at the University incredible, I’m surprised there is such a discrepancy in this vital aspect of student life. I am hoping this is another ‘screw’ in the coffin of Aramark’s partnership with the University,” Gardner said.